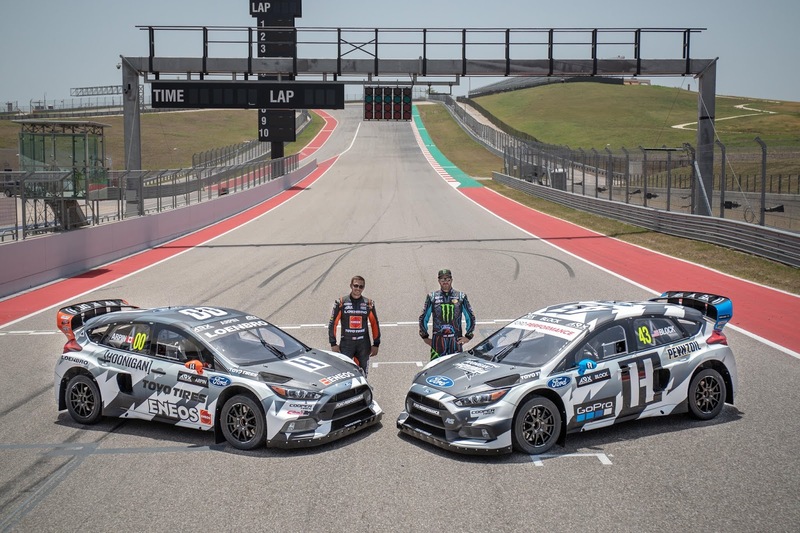 AUSTIN, TX, JULY 2, 2018: Hoonigan Racing Division’s Ken Block has officially kicked off his 2018 rallycross program, in partnership with Steve Arpin and Loenbro Motorsports. Combined, both extremely talented drivers have 10 overall rallycross wins, countless podium finishes and are looking to add more to their respective résumés with help from an updated Ford Focus RS RX rallycross car that Arpin and his team have been developing during the first half of 2018. This updated car will usher in a new era of performance for the Focus RS RX. The partnership is built on Block—as well as Hoonigan—bringing their motorsports marketing expertise to the table, while Arpin’s side brings extensive technical prowess when it comes to developing and running rallycross cars. "Obviously I'm excited about partnering with Ken [Block] this season," said Arpin. "He and I have always gotten along great at the track in the past and I think we're both in a position to help each other this year. I'm also happy about the fact that Ford Performance entrusted myself and my team to help further develop the Focus RS RX rallycross program, the car has felt amazing in our testing with the revisions we've made and I'm really eager to get it out on track and put it to the ultimate test against the competition." Both drivers will be competing in the three remaining ARX (Americas Rallycross Championship) races, taking place in Austin, TX, at Circuit of the Americas on July 14th, Trois Rivieres in Quebec, Canada August 4th to the 5th and back in Austin at COTA September 29th to the 30th. Block will also compete In the U.S. round of the FIA World Rallycross Championship, taking place that same weekend of September 29th and 30th at COTA. Additionally, both drivers will also compete at Travis Pastrana’s Nitro World Games rallycross event, taking place September 22nd and 23rd at the Utah Motorsports Complex outside of Salt Lake City, UT.